WPP has made an investment in Refinery29, a fashion and lifestyle media company, for $50 million through its WPP Ventures arm. 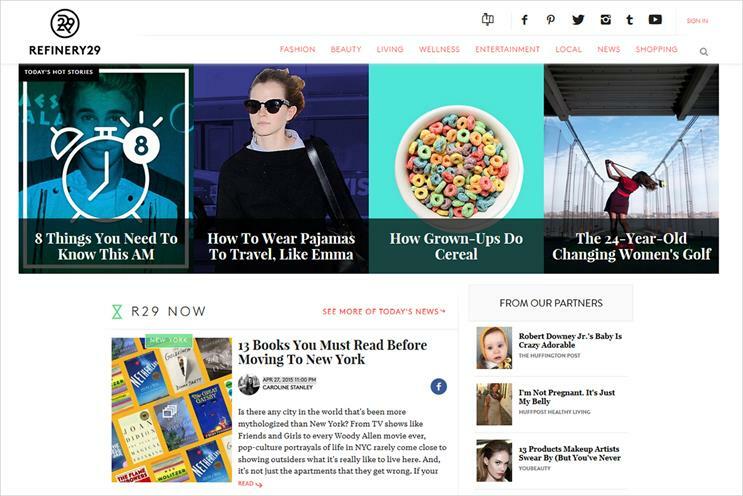 Refinery29 is a five-year-old media site that caters for young female readers. It started as a hyperlocal blog for fashion news. The website now has 25 million monthly unique views. Its owners now want to invest in producing more video and distributing its content across other platforms. It employs over 250 people and is based in New York with an office in Los Angeles. The $50 million Series D financing was led by WPP Ventures and the American TV company Scripps Networks Interactive. Series D refers to a fourth stage in the venture capital financing cycle of a new business’s growth. Tom Bedecarré, the president of WPP Ventures, said: "Refinery29 operates at the intersection of content, commerce and social media – all areas of focus for WPP Ventures." The investment follows other moves by WPP to fund digital content companies, such as China Media Capital, Fullscreen, Indigenous Media, Media Rights Capital and Vice.